In a criminal defense case you need the help of a highly trained and experienced Investigator, one who knows the criminal justice system. At Orange County Private Investigator our investigators have the Law Enforcement background, knowledge, training and experience needed to handle all types of criminal cases. Don’t trust your life and freedom to just anyone, we know that having an investigator with our skills and experience on your side can make the difference. Orange County Private Investigator are previously trained law enforcement officers who have the ability to communicate with the law enforcement officers who are investigating the crime.Â In other words, our private investigators are your best choice as criminal defense investigators since current and prior law enforcement officers conduct the investigations in the same manner.Â Criminal defense investigators can save you thousands of dollars of attorney fees since an entire criminal case is founded on the evidence and the preparation of defense.Â We are on your side, which means legally and ethically we defend your rights and freedom by conducting the upmost professional criminal defense investigationÂ on your behalf. WHY DO I NEED A CRIMINAL DEFENSE INVESTIGATOR? Criminal defense is a highly complex endeavor and one that should only be trusted to the trained and licensed professionals. In today’s society Law Enforcement has the upper hand with its trained personnel, forensics and access to everything they need for prosecution. You need an advantage in your corner, our investigators possess the specific skills and expertise knowing how to track down and interview witnesses, analyze evidence and law enforcement procedures along with expert report writing skills. When it comes to your life and your freedom, “ don’t go it alone” , make the responsible choice. 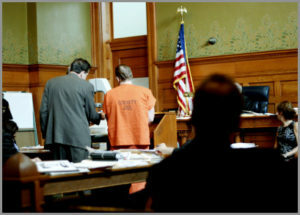 Let Orange County Private Investigator partner with you in providing you the investigative power you need for you case.